EMLA Cream contains two medicines called lidocaine and prilocaine. These belong to a group of medicines called local anaesthetics. This product has quantity restriction per order by the system. If you need to order more than one item, you're welcome to place multiple orders. Place your orders now and get free shipping. You're free. No minimum order. 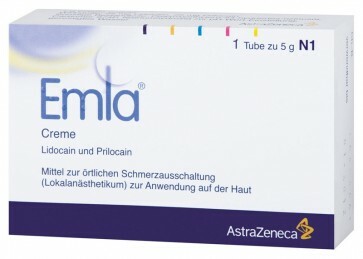 EMLA Cream works by numbing the surface of the skin for a short time. It is put on the skin before certain medical procedures. This helps to stop pain on the skin, however you may still have the feelings of pressure and touch. Having a needle put in (for example, if you are having an injection or a blood test). Some types of skin graft. Cleansing or debridement of leg ulcers.